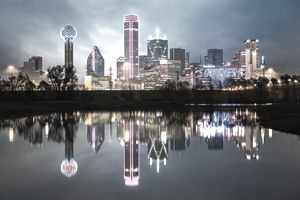 Houston, Dallas, San Antonio, and cities throughout the state of Texas are called home by some of the largest U.S. retailers and restaurant chains. This is good news for job hunters looking for home office level management jobs located in the great state of Texas. Whole Foods, GameStop, JCPenney, and Neiman Marcus are some of the U.S. retail industry companies headquartered in Texas. The U.S. restaurant industry obviously agrees that everything is bigger in the state of Texas. A large number of the largest restaurant companies like Chili's, Pizza Hut, Steak ’n Shake, and Schlotzsky's have headquarters and HQ level management jobs in their Texas home offices. In particular, Dallas, TX, is a huge hub for local, regional, and national restaurant chains of all sizes. Although Texas seems to have fertile soil for some big retail and restaurant startups, Texas business roots don’t guarantee big success. Texas-based retail chains ALCO and Blockbuster ended their history on the bankrupt retailers list. Knowing which retailing and restaurant companies are located in Texas helps job hunters who are seeking professional-level jobs in the state of Texas in general, or HQ management positions in specific retail companies. Although the retail career path still allows retail employees to climb the retail corporate ladder from an entry-level retail store job to a retail management position, most often these days, retail headquarters jobs require specific retail education and experience. Most upper-level retail executives today start their retail careers in headquarters positions, not as a retail store cashier. What follows is the Texas Retail Store & Restaurant Company Headquarters list, arranged alphabetically, according to the name of the retail company. Click the links for more research resources about each Texas-based retail chain.